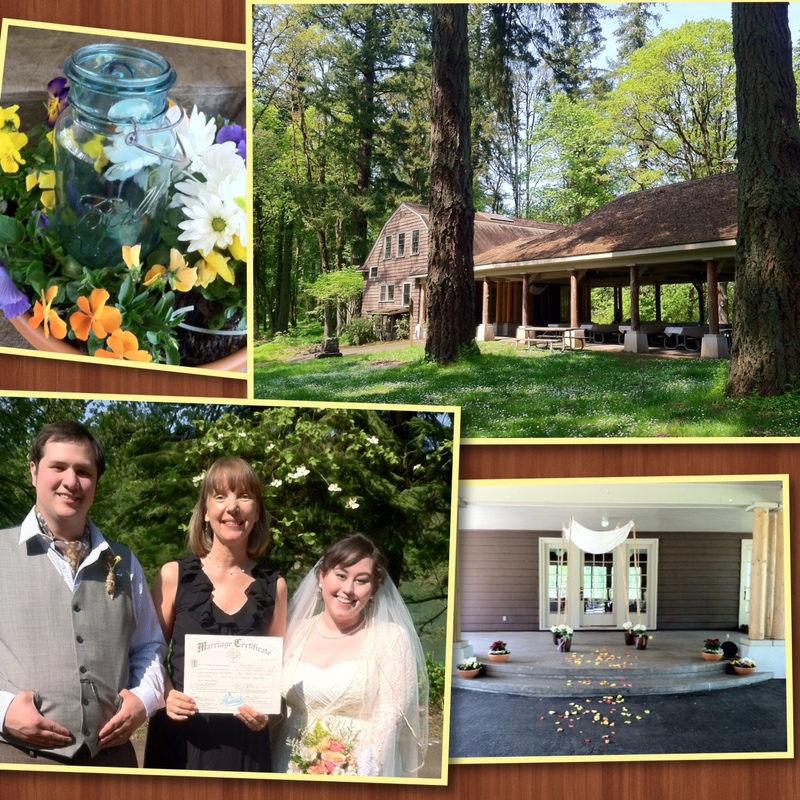 Perfect weather and acres of old growth trees awaited guests at yesterday’s wedding celebration for Emily and David. Held in the Pavilion at Historic Champoeg Park, the ceremony blended old and new traditions under the huppah including a Jewish circling, the seven blessings and breaking of the glass. The unity sand ritual featured a mason jar belonging to the groom’s grandmother. Following the ceremony, family and friends feasted on a buffet of homemade vegetarian specialties including three kinds of lasagna baked by the bride. The newlyweds will relax for two nights in a cozy park cabin before returning to their home in SE PDX. The groom works for UPS and the bride is completing her degree in psychology. They are planning a destination honeymoon in the fall. Congratulations, Mr. & Mrs. Quinton … mazel tov!